"First Female Candidate for the U.S. Navy SEAL Unit..."
G.I. Jane 1997 - 125 min. 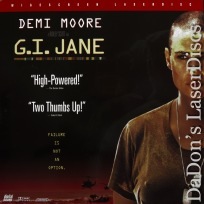 - Color Genre: Action Rated R Country: USA LaserDisc Movie Review: Demi Moore stars as Lieutenant Jordan O'Neil, the first female candidate for the U.S. Navy SEAL unit, a clandestine strike force drawn from the creme de la creme of the combined services--an opportunity provided her by the political maneuvering of Senator Lillian de Haven (Anne Bancroft). To make the grade, Jordan has to survive a grueling selection process in which 60 percent of all candidates wash out. Enigmatic Master Chief John Urgayle (Viggo Mortensen) runs the brutal training program that involves 20-hour days of running, marching, and crawling through obstacle courses under the worst weather conditions while carrying landing rafts--not to mention eating out of a garbage can during breaks. Along with the best of the men, the lean, mean, shaven-headed Jordan handles the punishment, including a bizarrely motivated beating from her drill sergeant. The top brass, confident that a woman would quickly drop out, becomes concerned as Jordan's ability to handle SEAL training becomes evident. Soon she must contend with trumped-up charges that she's fraternizing with women, and the senator begins receiving threats that military bases in her state may have to be closed. Director Ridley Scott aestheticizes the harrowingly realistic training sequences with photography of austere beauty. 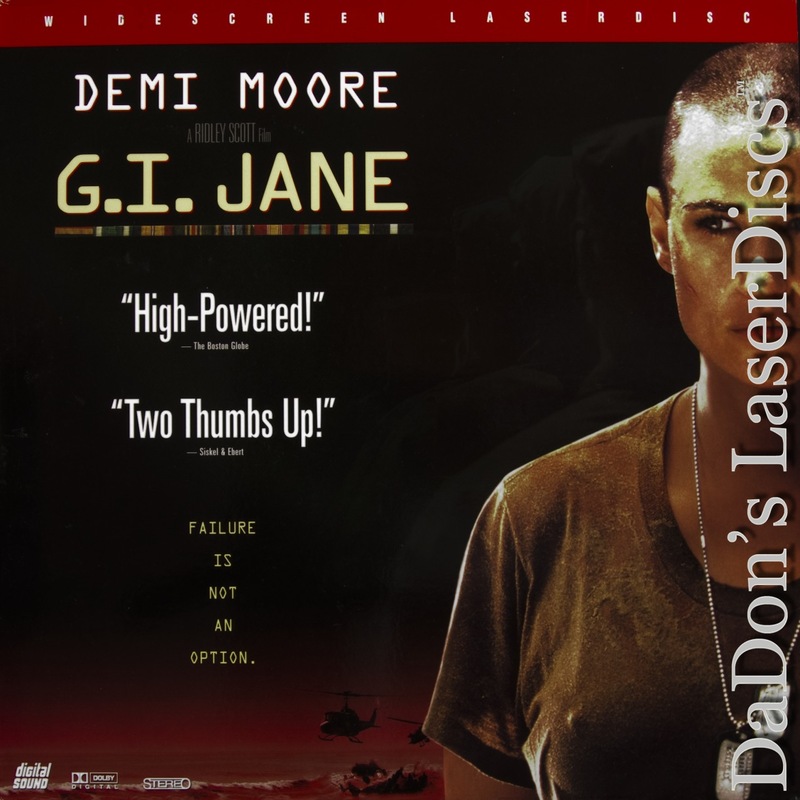 Crew: Demi Moore Viggo Mortensen Anne Bancroft Jason Beghe Daniel Von Bargen Thanks for Visiting DaDon's Rare LaserDiscs ! Reviews, Articles, Newsletter and Information for Movies on LaserDisc LD Laser Disc, LazerDisc.